Over a year ago, I wrote a blog about Page Grids and Off Page References ( see https://blog.bvisual.net/2011/09/02/page-grids-and-off-page-references/ ), and I promised to accommodate page margins. In addition, a user commented that a matching printable grid would be useful …. so here is an update. In this blog I provide an updated Off-page reference master, along with new GridLines and GridLabel masters. 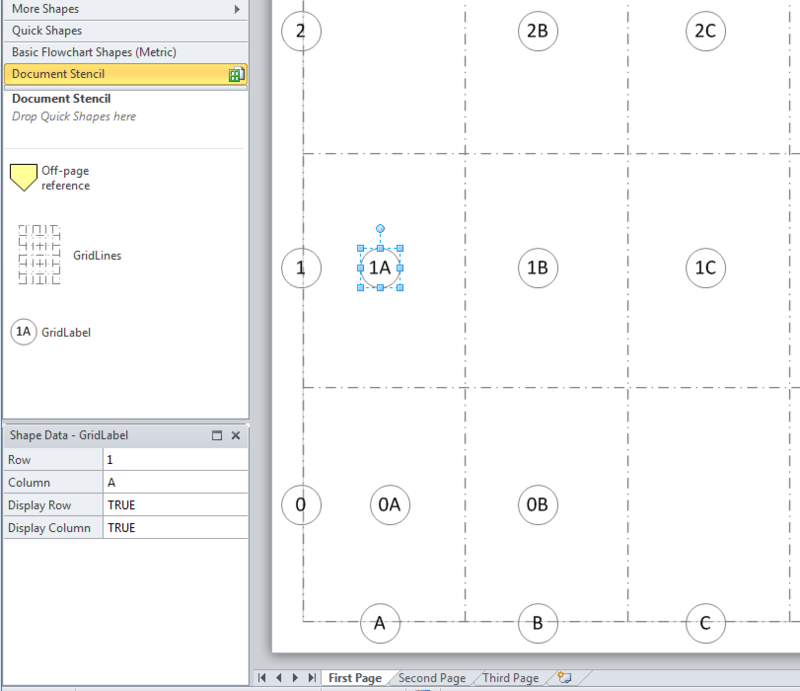 The GridLines master uses the same page Shape Data rows that were described in the previous blog. and automatically displays the correct number of column and row lines (maximum 26 each), leaving out the page print margins. The GridLabel master calculates the Row and Column that it is within, and you can choose whether to display the Row and/or Column labels. I have made the GridLabel shape to be separate from the GridLines shape, so that you can place them wherever you like.